Co-creator Ken Johansen using the Read Ahead app. 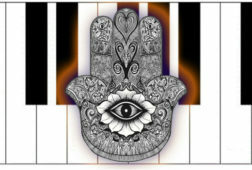 Imagine you’re seated at your piano with sheet music. But as soon as you begin to play the first note in a measure, the entire measure is erased from the score. You’re forced to play what notes you remember and move on, whether you’ve made mistakes or not. This persistent score-eraser chases you until you finish the piece. 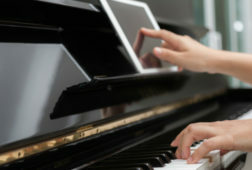 It sounds like the frenzied dream of a piano student, but it’s actually a training exercise to help improve your sight-reading skills. 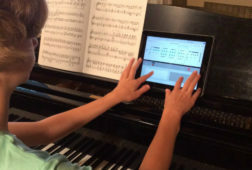 You could ask your piano teacher to doggedly slap Post-It notes across your measures in time with the metronome … or you could just get the Read Ahead iPad app, designed to be used while you’re at the piano. During the disappearing-measures exercises, the app doesn’t allow you to dwell on botched rhythms or check whether you played the last chord correctly. You’re already on to the next measure, as if you’re accompanying a chorus or orchestra that won’t stop and wait for you. 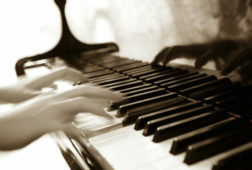 Other, less adrenaline-inducing exercises encourage you to not look down at the keyboard while playing, to use grouping techniques to quickly memorize the next section of music, and to efficiently preview a score to pick up important features of the music (occasional pop quizzes make sure you’re on top of your game). 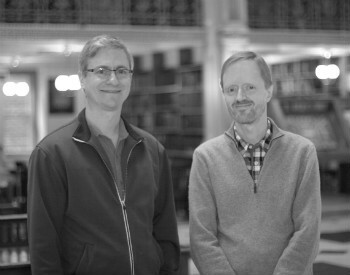 Read Ahead co-creators Travis Hardaway and Ken Johansen. 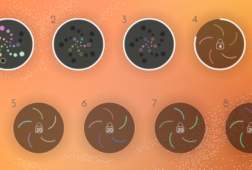 All of these techniques are the brainchild of co-creators Ken Johansen and Travis Hardaway, who teach at the Peabody Conservatory of Music at Johns Hopkins University. 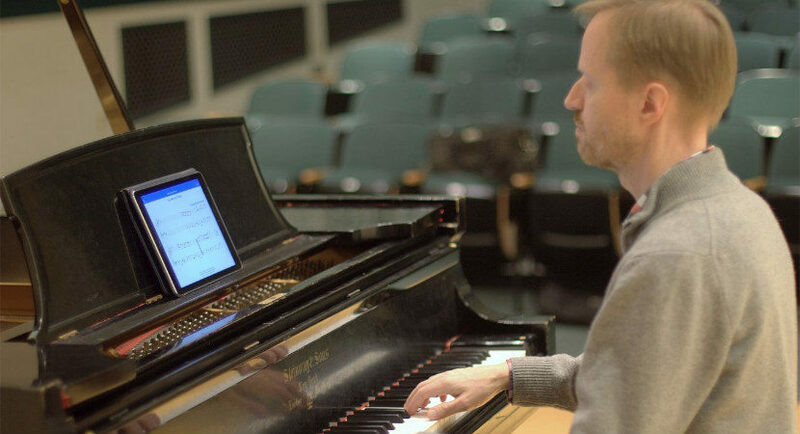 To develop the program, Johansen and Hardaway tapped other researchers at Johns Hopkins, including an expert in the neuroscience of music, and used eye-tracking studies to understand how musicians look at scores. iPad users can download the Read Ahead app for free, and access the first two days of exercises in each of the sections; it costs $3.99 to unlock the rest of the days in each section. In total, there are 108 days of exercises, with four to five exercises per day. For those without an iPad, there is also a “hybrid” book-and-smartphone version of the program. The printed books provide the sheet music exercises for each level—in what amounts to a valuable collection of sight-reading pieces from a wide range of composers. The accompanying (free) phone app does not, however, offer the iPad version’s signature “disappearing-score” feature. 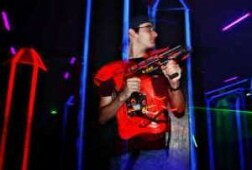 The exercises are divided into three levels so you can choose the appropriate place to start. 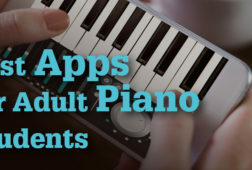 But even if you have been playing piano for decades, don’t assume that the beginner and intermediate levels of the app are not worth your time. 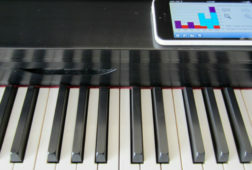 I found that, although the sheet music in the app looked much easier than the pieces I usually play, the sight-reading exercises presented a new kind of challenge. 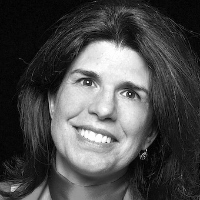 For classical pianists who are used to mastering pieces slowly through in-depth study, the Read Ahead method offers a hand to hold while you take a leap into the unknown. Disclosure: GRAND PIANO PASSION™ received complimentary books to test the “hybrid” version of Read Ahead. Just downloaded read ahead app and I’m having issues. The read ahead piece will preview, then advance to tempo selection but will not then advance to next window? This is an older i-pad with limited storage. I have a feeling this issued is indeed about that (too old, not a good signal, not enough storage, too tired?) If you can confirm any of the above it will save me countless wasted hours of me trying to make this work on this device. This software is just what I’ve been looking for. Thank you sooo much. Paul, thanks for writing and we’re very glad to hear that the app is useful for you. Wish we could help, yet we’re not able to provide support on your iPad compatibility with app. Best thing for you to do is to visit the company site for help with troubleshooting. Best of luck!